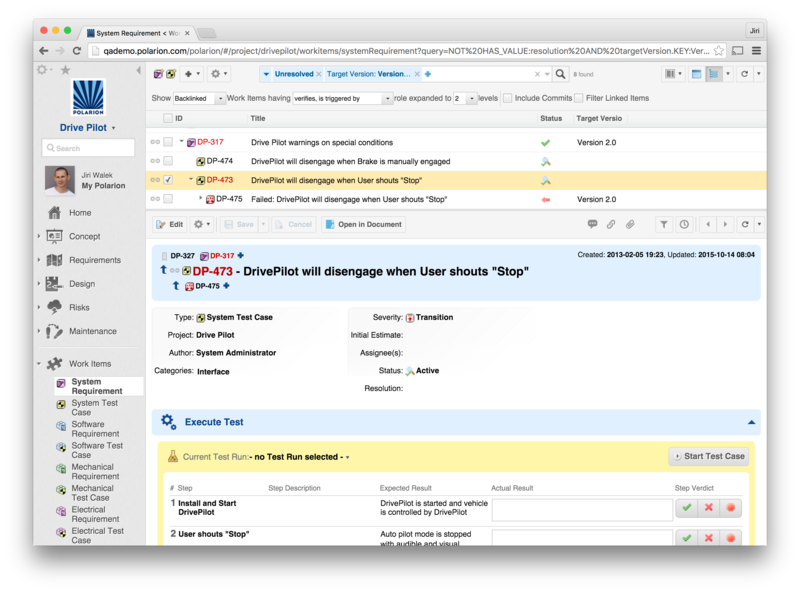 Design, coordinate, and track all your test management activities in a single, collaborative QA environment. Create test cases & easily link them to their corresponding work items such as requirements, change requests, other test cases, source code lines etc. Parameterize your test steps to separate multiple test specifications and test items configurations so you can execute the same procedure several times to fully cover your complex test conditions. Automatically create defect reports and tasks for developers based on test failures to shorten the fix time. Bi-directional synchronization of Test Cases between MS Excel and Polarion. 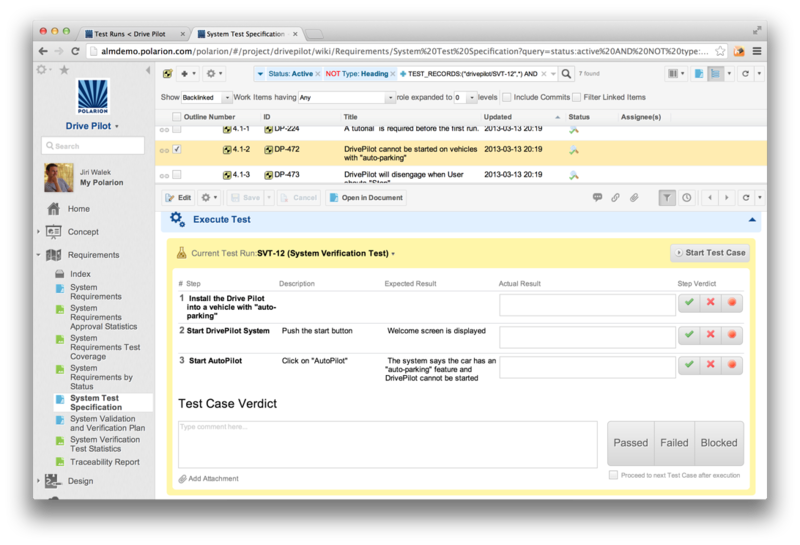 Automated Test Case is a "first-class citizen": integrate with 3rd party test automation tools via Open API, auto-run via Builds, import-ready for any test results in xUnit file format. Execute test cases with online test execution panel or offline by exporting to MS Excel and importing test results back. 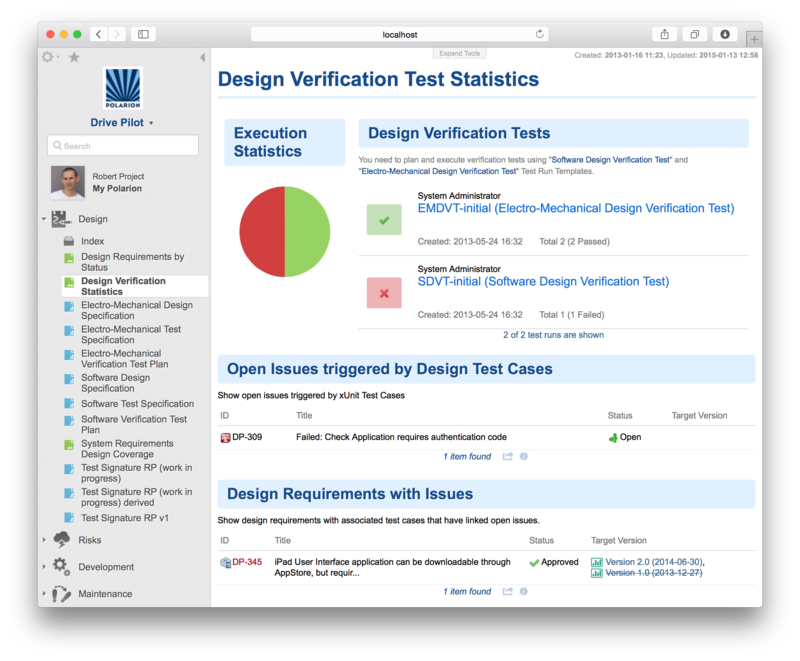 Build traceability from requirements not just to test cases but individual test records. Accurately and consistently automate verification and verification tasks with electronic signatures. Polarion’s HP QC Connector - Seamless integration with HP Quality Center for test management offline execution. Track all possible and reported failures. Plan and assign tasks to mitigate risk. 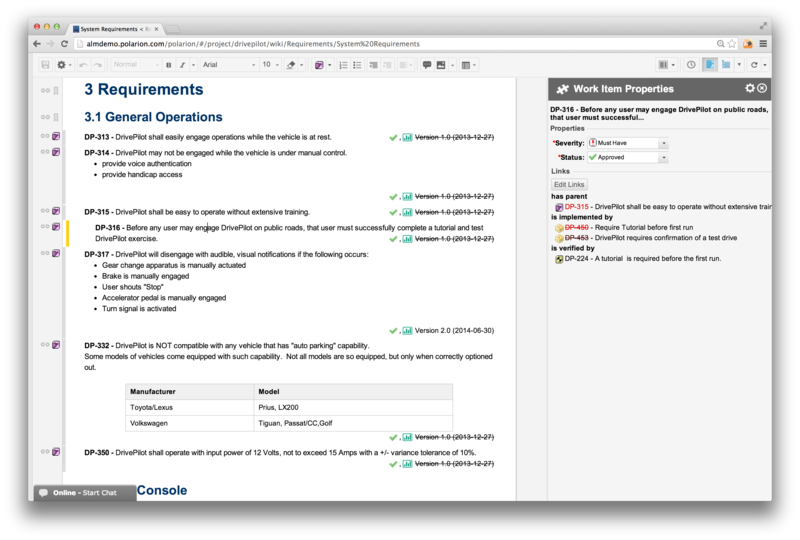 Fully featured tracker to manage any kind of work items: issues, tasks, defects. Track issues automatically on any test failure: no matter if test is manual or automated, performed in Polarion or in a third-party tool - ensure the issue is tracked immediately for all activities. Assign issues automatically based on classification type (category, severity, component, etc.). Analyze the quality of the requirements by measuring the number of issues and change requests linked to requirements. Identify all possible failures, risks, harms and hazards, and plan and assign tasks to mitigate the potential risk. 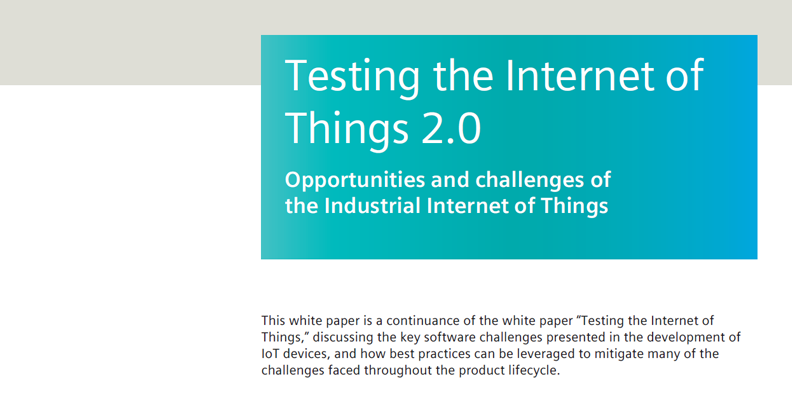 Reduce risk of critical bugs being untested before released into the field. An exclusive innovation, Polarion LiveDocs, enables you to collaborate concurrently and securely on specification documents while having every single paragraph uniquely identifiable and traceable. All the requirement specification documents are instantly exposed to all stakeholders - for review, approval, or development. Easily import existing assets using the rule-based Import Wizard. It recognizes artifacts like requirements, test cases, etc. contained in Microsoft® Word or Excel® and quickly imports them to our modern, browser-based platform. Document Round-trip - Export for offline collaboration so changes made outside of Polarion can be imported back seamlessly. Built-in ReqIF enables lossless requirements and test case specifications exchange with customers and suppliers. Invite and require stakeholders to electronically sign the specification documents as reviewed or approved before they can be released to production. Unified solution for Test and Requirements allows you to build test cases in parallel with requirements. Understand the "Who, What, When and Why" of any changes. Every artifact - System Test Specification, Verification Procedures, Test Plans and Tasks - everything is versioned, so every modification produces Version History Record. The project and global configuration also is versioned, which gives you full auditability and visibility of your process configuration and improvements. Bring sanity and accountability to the process of gathering,vetting, and implementing the inevitable change requeststhat happen during every project. Verify that the final delivered software has all of the planned enhancements that are supposed to be included in the release by full traceability of every source code modification up to the change request. 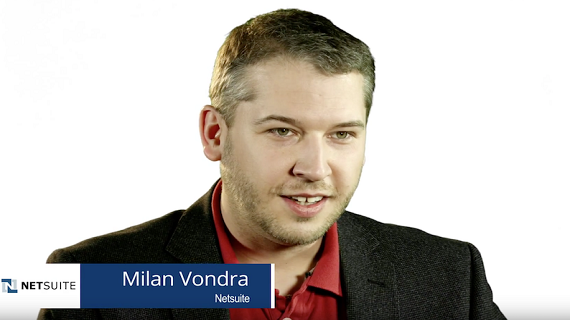 Polarion supports SVN & GIT out of the box, others (Perforce, Plastic SCM, …) via add-ons. Manage risk better by catching problems earlier in the lifecycle. View any report online, real-time, including with mobile devices or export to pdf for offline access. Easily create your own reports with Online WYSIWYGReport Designer. Open report from any historical moment with exclusive “Time Machine” functionality. Run reports across multiple projects to help coordinate activities across disparate teams, and use BIRT for reporting across multiple data sources. Automate event monitoring and change notifications plus push important information to collaborators via "My Polarion" dashboards. 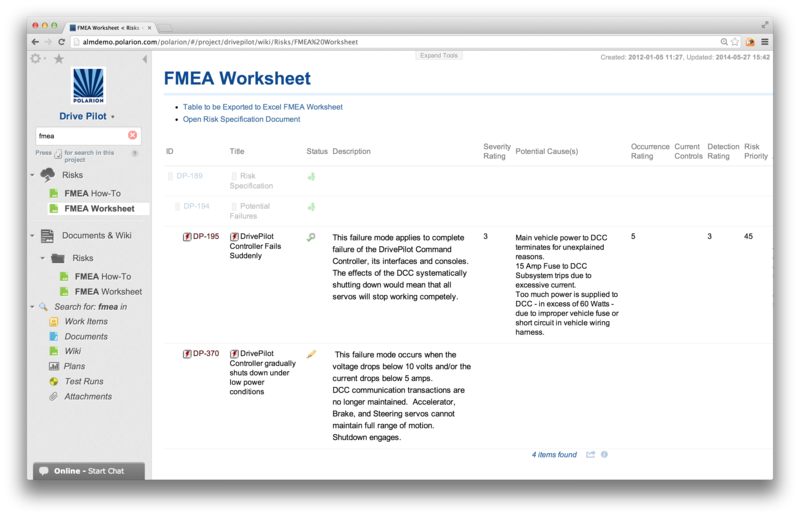 Assess the performance of your project in real-time: live, always up-to-date, and fully configurable to your needs. Ensure your code meets metrics for security, reliability &maintainability with status source code analysis. Extend the reporting capabilities by in-place scripting with full access to Open API or deploy your own custom widgets. Leverage the flexibility of our unified testing platform for any type of testing methodology, tool and team. Small groups benefit from rapid team organization in one environment. Quickly start projects with pre-defined templates that are process light and customizable..
Enterprise QA departments can run unlimited number of projects adhering to very structured testing cycles, combined with a diverse ecosystem of both automated and manual testing activities, while keeping everything in synch and fully traceable. Quickly meet all test management needs, while centralizing every testing activity in one central repository with multi-directional traceability to assure quality. Build a Competitive Advantage - Through Quality. Enhance your products quality with an improved QA process. 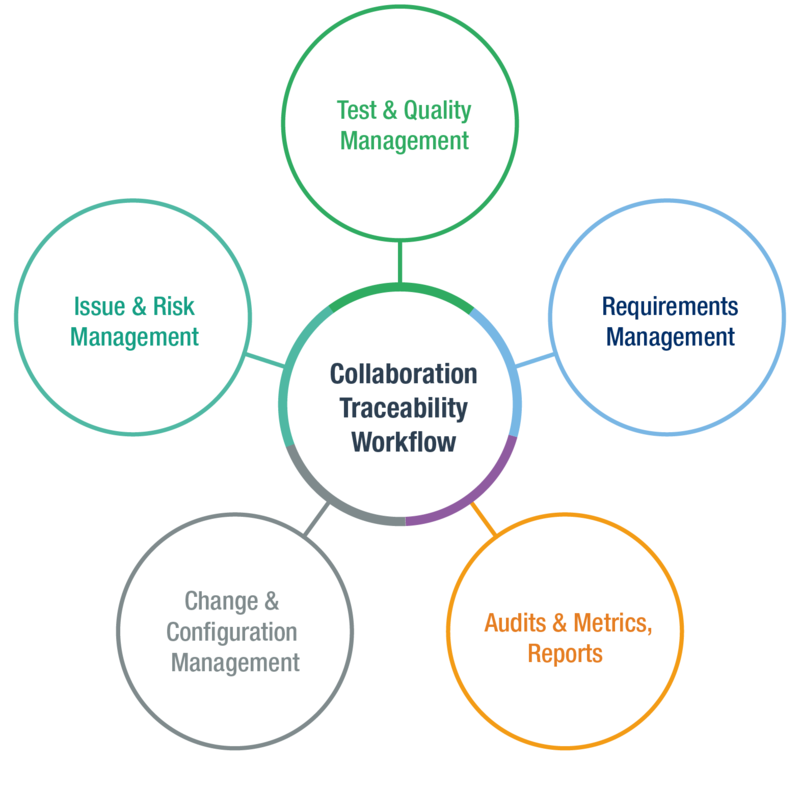 The ability to establish comprehensive multi-directional traceability from requirements, to test cases and ultimately your source code at the granular work item level is an essential component of a great test management system. Polarion QA provides instant out of the box traceability of all your key testing releated artefacts while automatically generating a complete audit trail of linked work items within and across all your projects. Most testing ecosystems have a multitude of software tools that typically do not communicate easily with each other during the development process. We understand the importance of knowing what tests have been executed and more importantly the results and how it affects the overall plan. 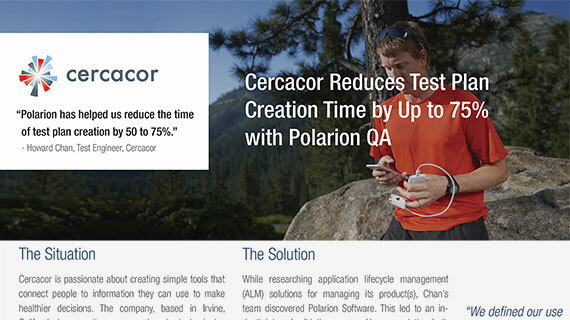 With Polarion QA its easy to leverage our 100+ QA centric integrations. Our users can easily expand functionality via the Polarion Extension Portal with a growing list of integrations, add-ons and connectors. 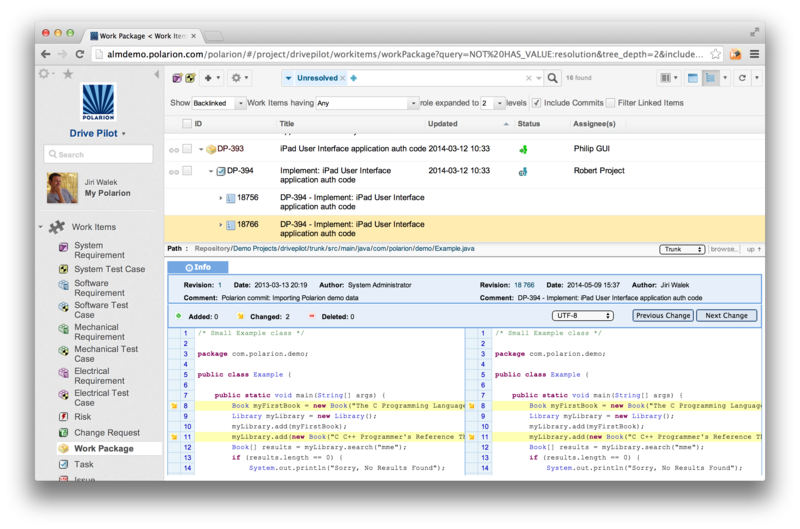 Build your own specific extensions with Open Java and Polarion's Web Services API. We understand how difficult and tedious it can be to achieve regulatory compliance for your products. 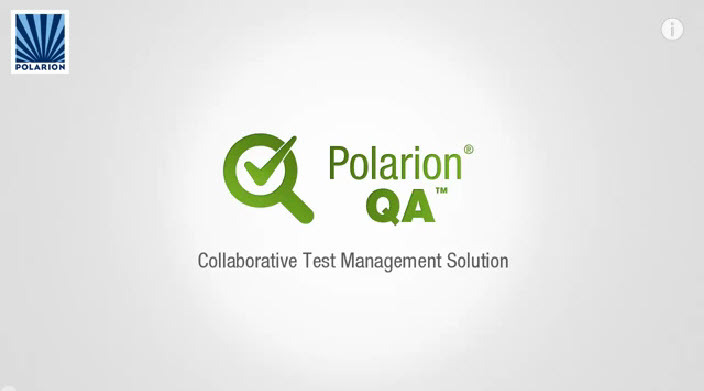 Polarion QA is the most comprehensive test management platform for supporting compliance requirements and policies. Users leverage compliance based templates to jumpstart regulatory related projects while maintaining process consistency, visibility and complete traceability across all Polarion based projects. Cercacor created Ember, a device that non-invasively measures hemoglobin and pulse rate for the athletic market—two of the most sought after indicators for performance and race readiness. Working with innovative partners, we expand our mission to help customers unlock synergies across all of their development teams. Integrating Product Lifecycle Management (PLM) and Application Lifecycle Management (ALM) processes allows us to bridge the gap between mechanical, hardware, electronic and software development, delivering unprecedented efficiencies. Try polarion QA for 30 days. 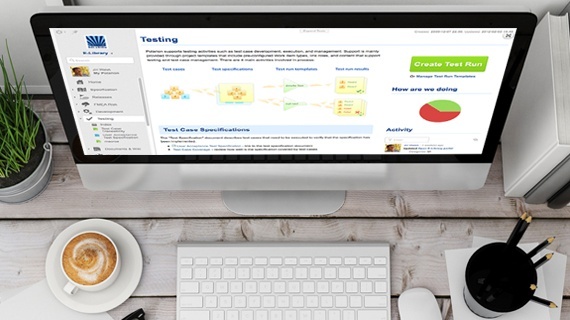 Webinar: What's New with Polarion QA Find out why Polarion QA is a complete, unified, browser-based platform for managing your entire testing ecosystem. Webinar: 5 Steps to Accelerate and Improve Your QA and Testing Processes This webinar will address today’s real time issues and constraints to help you develop better software. Webinar: Test Strategies and Risk Mitigation for IoT and Embedded Systems Learn how product reliability, continuity and security are all risks that you need understand and properly mitigate so that quality isn’t compromised.